Contact us about orders for Christmas after 15th December. 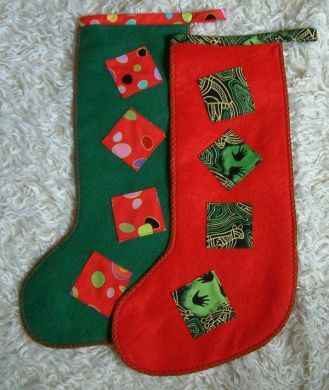 Christmas stockings made from a choice of coloured felt and with a range of decorative finishes to suit all the family. All our stockings have a top to toe length of 43cm and width of 14cm. Buy separately or with our selection of ready wrapped fillings for boys, girls and adults designed to fit the stocking with a bit of space to add your own presents. Got a stocking already but looking for some help filling it. Our stocking fillers can also be bought separately. Stockings can be personalised by the addition of a name tag hanging from the loop with the name of your choice inscribed contact us with name details once you have placed your order .